On March 21, 1973, the British Patent Office issued Patent No. 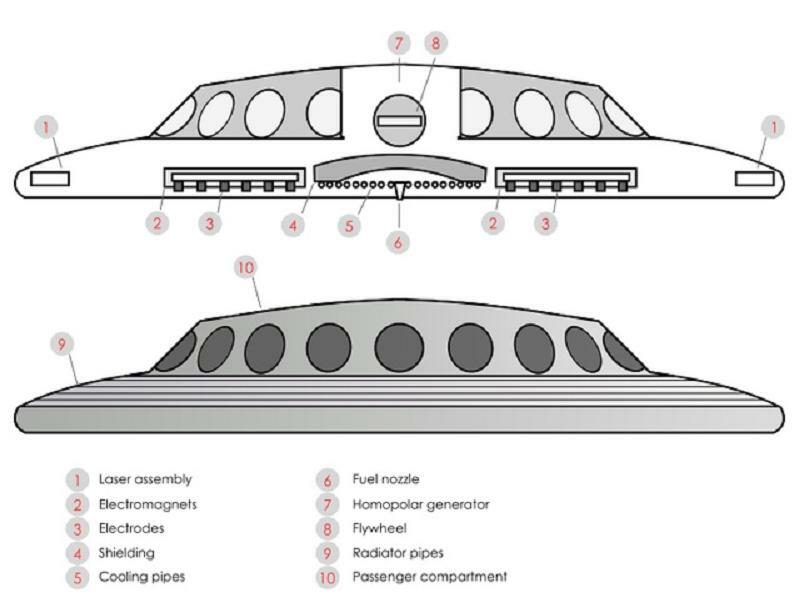 1,310,990 – British Rail's own design for a flying saucer with artificial gravity, a laser-induced fusion engine, and space on board for dozens of passengers. We’ve all had projects get away from us from time to time. 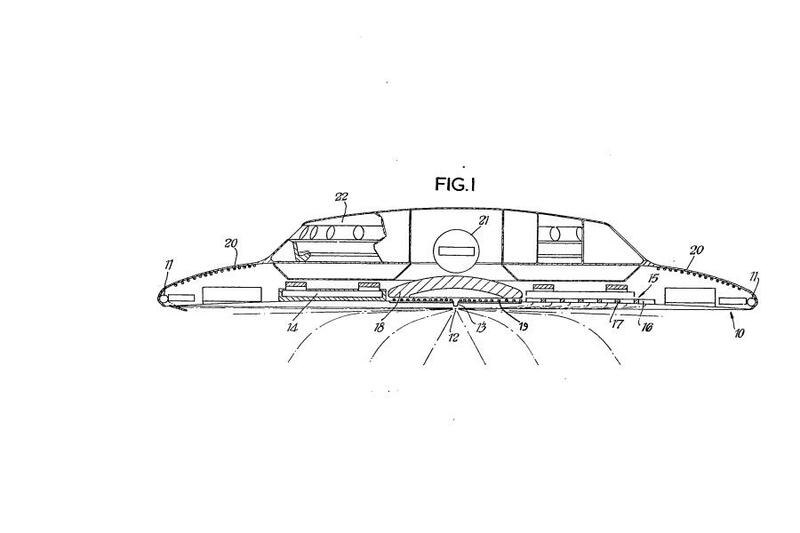 In the late 1960s, British Rail commissioned an engineer named Charles Osmond Frederick to design a “lifting platform.” By 1973, his design had evolved into a fusion-powered spinning disc intended to boost both passengers and payloads into space. Incredibly, the British government saw fit to grant it a patent. Even more incredibly, it’s not an entirely impossible concept. The patent on file with the British government is for a propulsion system, with many of the craft’s other innovations left undefined. The engines are enough, however. According to the patent application, which requires a summary of the proposed mechanism to be included, the basic power source — known as the reactive mass — is hydrogen. This fuel was to be injected in extremely tiny quantities into a magnetic accelerator underneath the saucer, where high-energy lasers would accelerate the hydrogen atoms into collisions at some fraction of the speed of light. Upon colliding, a small number of atoms would undergo nuclear fusion, generating helium as a byproduct and releasing considerable energy in the reaction bell. 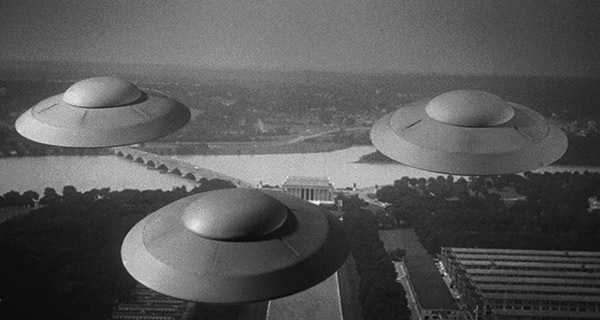 The saucer’s engine essentially did all of the work outside of the body of the craft. The nozzles under the saucer would effectively spray hydrogen out of the bottom, and the lasers would pick up the atoms and crash them into each other to turn them into nanoscopic H-bombs. Every little explosion would generate a little shock wave that propagated in all directions, with maybe 40 percent of the energy striking the hardened underside of the ship. This tap-tap-tap of explosions — which the patent claims will be paced at 1,000 per second to prevent resonant vibration in the ship — pushes the craft forward at an ever-accelerating rate until it’s traveling fast enough to achieve (at least) low-Earth orbit. The advantage of this system is supposed to be the large amount of energy to be had from a small amount of fuel, the weight of which is a limiting factor on all modern rocket designs.